I started this book last summer and never finished it. Until last week, when I was feeling sufficiently bored and deprived of intellectual stimulus. That is more or less everything you need to know about The Truth About Dishonesty. 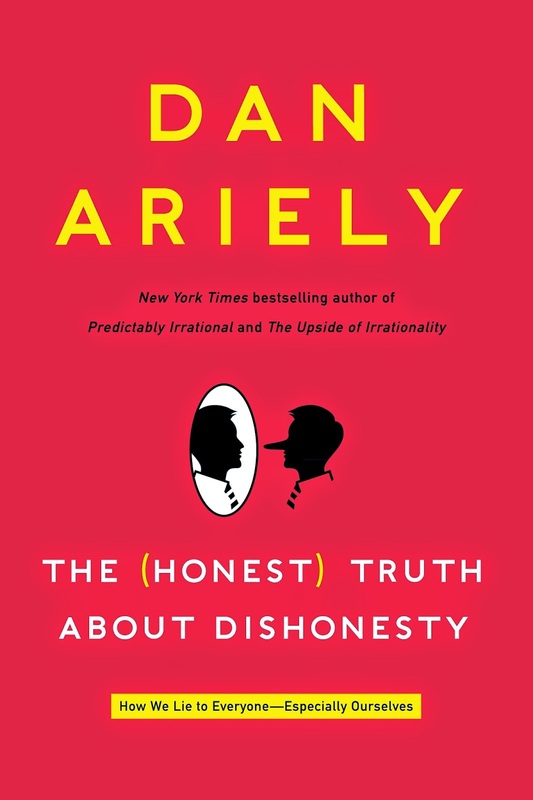 It is, in essence, a review work of Ariely's research on cheating, lying and dishonesty. Of course, Ariely is by all accounts a brilliant social-scientist, but in book form his work sounds dull, almost monotonous, and even for someone typically as patient as me, it takes too much time getting to conclusions. Every topic is discussed in much the same way. Ariely describes a new variation on the research setup that was introduced the first few chapters. He discusses his thought process in designing the experiment. He presents the results. Repeat. It is not that the topic is uninteresting. Quite the contrary actually, since I was quite looking forward to reading this, but compared to something like Thinking, Fast and Slow by Daniel Kahneman, it is hopelessly inefficient in its presentation and lacking in terms of vision and content. Even when Ariely offers the occasional anecdote, you hope that he might change his method for handling the subject matter. But no, the fun is sprinkled few and far between. This is not a book that I would recommend. If you are looking for an enticing read into the matters of behavioral science, try Kahneman. If you want to read a scientific account of cheating, I could imagine that Ariely's articles themselves will provide more insight. This book is stuck in between and, at the end of the day, can be summed up in a few pages without leaving out anything critical. At least now I can say that I finished it.